The 36" Provincial Petite Single Bathroom Vanity is a handsome centerpiece for small bathrooms with big design goals. 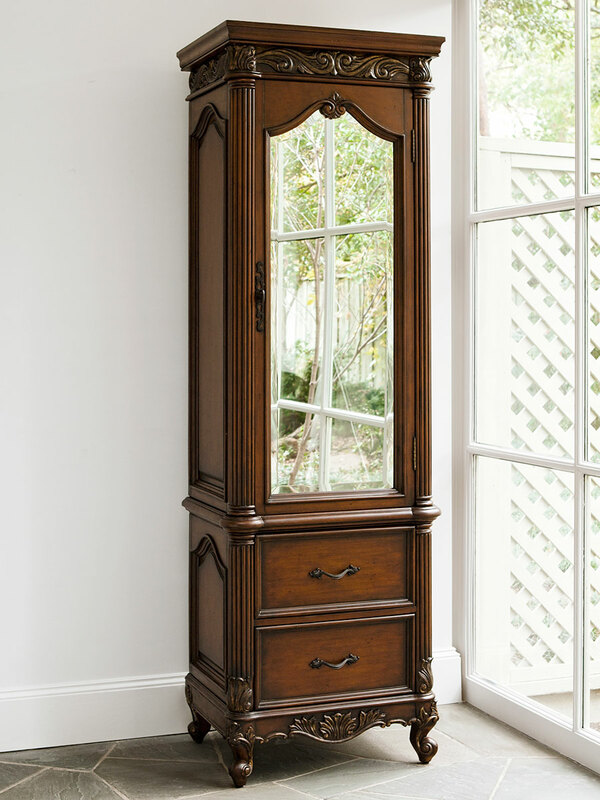 The solid mahogany frame features intricate carving, giving this piece depth and an eye-catching appeel. 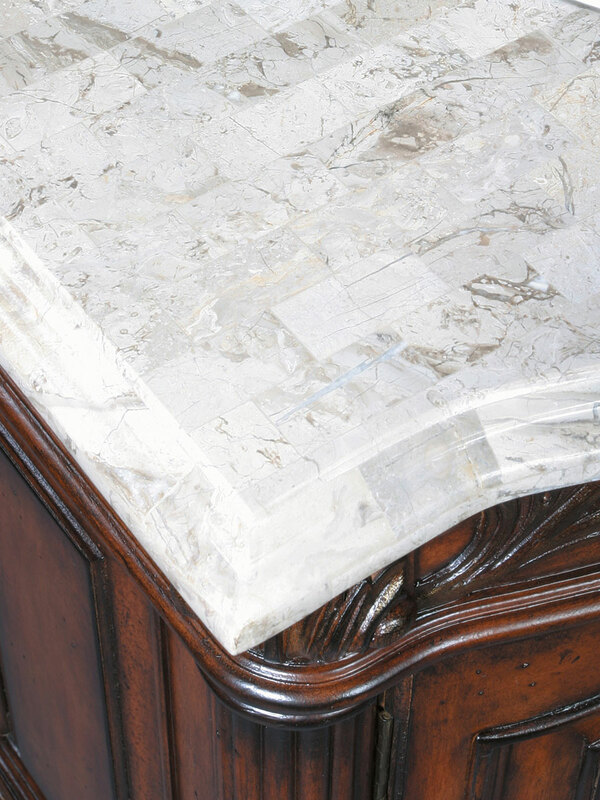 The Ivory Cream marble countertop and backsplash provide a lovely contrast against the dark finish and is installed with a Balsa porcelain sink. A double door cabinet also provides room for all your essentials. 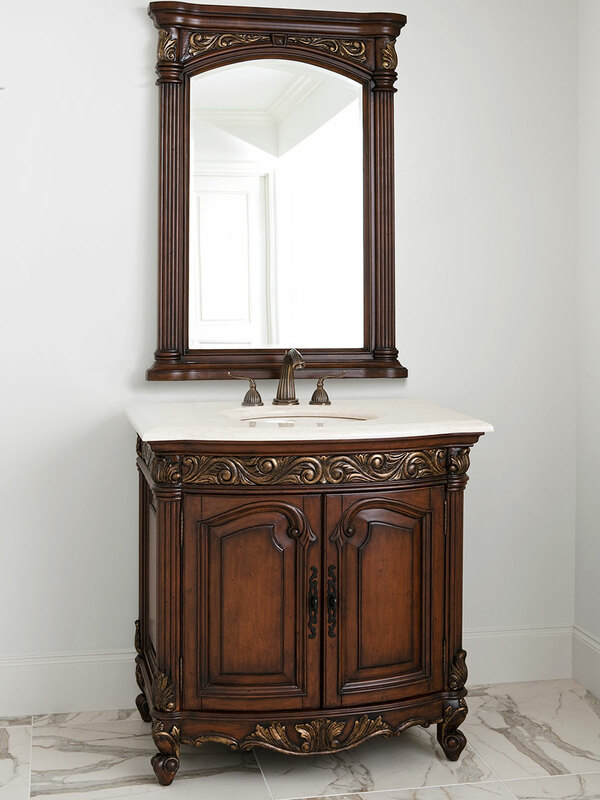 This vanity has the perfect style for a traditional or antique bathroom design.